What is Silent Walk FPS Creator? 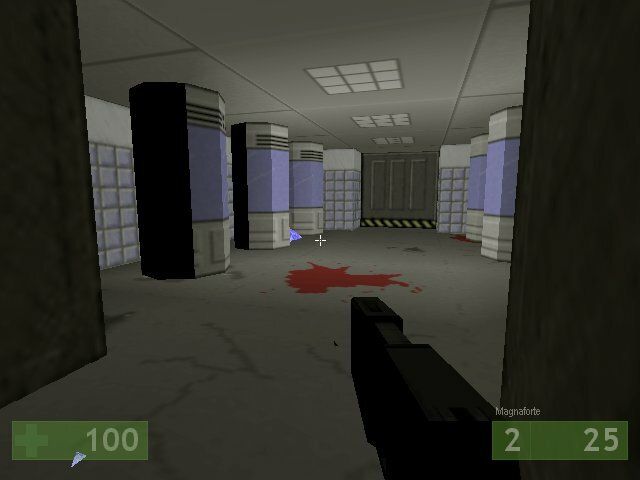 With Silent Walk you can create FPS style games without any programming knowledge. In Silent Walk there are basic game elements to choose from. There are walls, 3d objects, enemies, monsters and more. There are hundreds of free textures, sounds and 3d models, but you can use your own items if you want. Silent Walk comes with a model converter which helps you to convert your Wavefront.obj models to Silent Walk animation format. Games created with Silent Walk are stand alone games, there is no need for special environments. The program generates the runner application and collects all items needed in the game in a folder. All you have to do is to create and save your work. After starting Silent Walk you can choose from an empty project or a basic set, which already contains a few items which are needed for your game. Also you can open a saved project. In the 2D editor you have everything needed for developing your game. Simply choose an icon and start placing the items. Resources like textures, sounds and some 3d models are stored in a separate file, so you don't have to open them when you start creating a new level. One project can contain several levels and a resource pack. Levels are connected to each other with the start and exit points. Player can leave the current level by touching the exit point and start a new level at the start point. You can easily define these points. There are three kinds of opponents. Enemy type opponents have guns, they can be moving or still, monster types don't have any weapon, but touching them decreases the energy level of the player (actually they hurt the player). All these properties including sounds and ondestory events and so many more can easily be set with the popups. With 3D Weapon HUD setup you can place your weapon on the screen. You can define its position and direction. Just point and click. Silent Walk is a complete 3D game creator. I hope you'll like it. Nobody has shared their opinion about Silent Walk FPS Creator 1.1 yet. Be the first. Recommendations: The 2 people who like Silent Walk FPS Creator 1.1 also like the following games. These are just recources when i opened the file where is the fps maker? Wow, it's hard to believe you made this with game maker. The only reason I'm giving you an 9, is becuase their's no help screen or readme. Hey, love your new site! Silent walk is awesome! Do you think that you could post a what's new doc somewhere... I didn't find one. Great little program, but I could not totally figure everything out. Maybe you should include a readme file with it. Otherwise, really nice. Babe I am gonna throw this in my favorites + Giving it a 10 Score,I recommend a download.